Horror is one of the hardest genres to define and easiest genres to get “wrong." What disturbs, shocks or frightens one person often bores another, and vice versa. 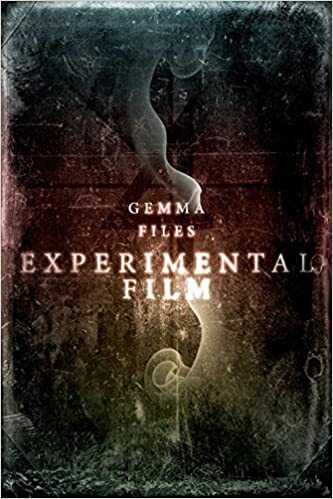 Like everything else, horror is a spectrum, but one routinely defined by only its most extreme elements—overused tropes often assumed to automatically translate from one medium (film and/or TV) to another (novels and/or stories). The challenge is to create original horror with universal appeal. The solution, more often than not, is to go wide by first going narrow: look specifically at what scares you, then build outwards. Personal experience—however apparently relevant only to you it may seem in the beginning—is the grit from which horror's most resonant pearls are grown. One only has to look at any given writer's body of work to pick out the details and themes which make their brand of horror recognizable: the cosmic despair and body horror of H.P. Lovecraft, the quiet antiquarian creep and malice of inanimate objects of M.R. James, the small-town nostalgia and monsters-among-us reversals of Stephen King, the surreal wrongness and intense physical violence of Peter Straub. All of these stem from personal experience, the things each chooses to write about because they know them well enough to fear them. 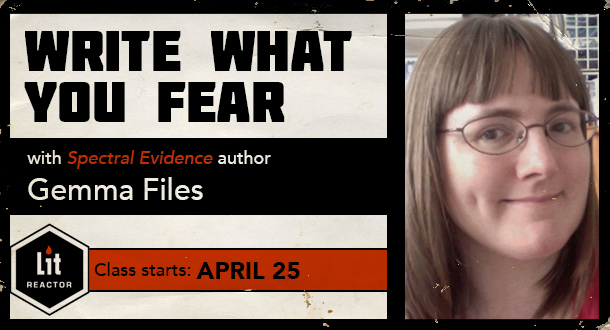 And in this three-week workshop, award-winning writer Gemma Files will help you get to the root of your fears. Fear is a universal emotion. This week, you’ll access your own specific memories of instances in which you have been personally frightened. Sometimes these will be practical instances—bad experiences and related traumas, injuries, threats—but others will be more tenuous, the sort of fears you may remember from your childhood: theoretical fears, metaphorical fears, the fears of fairytale and folklore, urban legend and rumour, anecdote and misheard information. Assignment: Rank these fears in ascending order, fashion potential story pitches around three to five of what you consider the most potent, and submit them for feedback. As we move into the second week, you’ll receive feedback on your ideas that might be the most viable, leaving it up to you to choose which one you think has the best potential. We will also have a brief discussion of potential markets, industry standards and practices, word-count and manuscript format, etc. Assignment: You will then extend one of these ideas into a piece of prose. It doesn't have to be a complete story, just a three to five-page sketch or section in which you try out potential combinations of plot, characterization, delivery systems and effects. Again, these will be submitted for feedback, with an eye towards figuring out the most effective—and disturbing—way to tell the tale in question, while also mapping out prospective pitfalls to avoid as you move further ahead with your first draft. Our third week together will be all about bringing your first draft to a natural conclusion, as well as examining ways to turn it into a submittable manuscript. Assignment: To increase the page-length of your original sketch or section by at least half, ending up with a manuscript of six to ten pages (or more...more is almost always good!) with a beginning, middle and end. At this stage, you will receive as much practical feedback as you need in order to nurture your fear-turned-idea from vague spark to cutting edge, the best/worst version of itself.